Apparently, expats are moving away from HK because of the air pollution problem. Some figures: 1/3 of everything China exported comes from the Pearl River Delta Region, and 80% of HK air pollution contributes by the factories there. 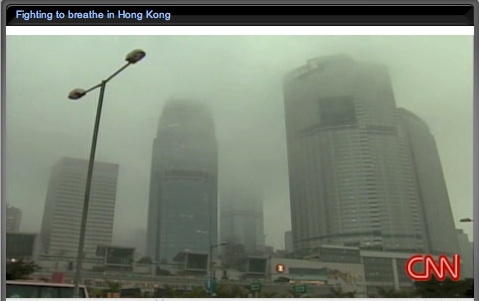 And, the power plants in HK burning coals contributed to the pollution as well. Really, I always wonder how much this contribute to my allergy and stuffy nose that got build up over these few years! Shame on the Hong Kong Electrics. And they are charging more for this pollution!